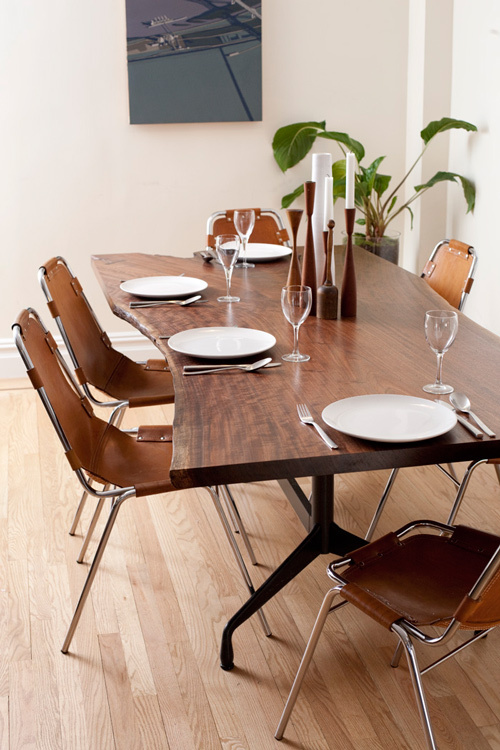 We love having friends over for meals, so a big dining table is necessary. The chairs are my all-time favorites, designed by Charlotte Perriand for Les Arcs ski lodge. On the back wall is a painting by James Cogbill, a school friend and fellow collaborator.